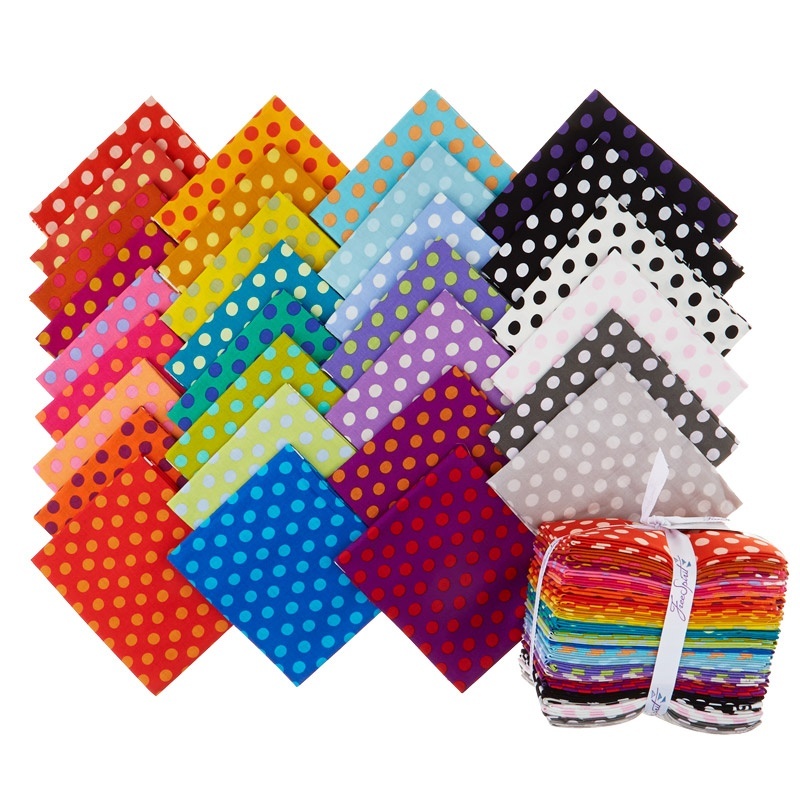 There's plenty of dots and colors in this bundle of fat quarters. Red, yellow, blue, you're sure to find your favorite color!It's no secret that Kaffe Fassett has an incredible eye for color, not to mention what he can do with it! Anyone who follows this fantastic artist recognizes the abstract shapes, movements, and colors that recur in his collections. It goes without saying that if you could use a little color in your life, Kaffe Fassett is the answer.